After installing Office2013 on both Windows 8 and Windows 7, I have to say it’s a fantastic upgrade. If you haven’t got it yet, all you need is a Microsoft email and a good internet connection then head over to the Office2013 Preview. Microsoft is radically changing the way Office will be delivered to most consumers. 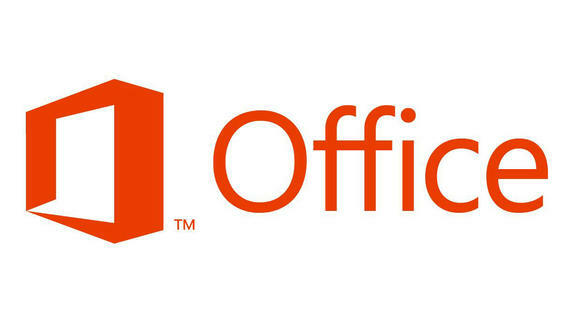 They are moving away from a standalone program that costs hundreds of dollars and that resides on your PC to a “Office On Demand” (essentially a streamed service) where the main computing power of Office365 will essentially reside in the cloud. Such a low price may also have the benefit of reducing piracy by making the software more affordable up front (eg a 5/- packet of single serve coffee sells at a higher rate than a 500g jar of Coffee). This combined with the $40 upgrade fee to Windows 8 from XP, Vista or Windows 7 seems to suggest that Microsoft is taking software pirates head on. The delivery of Office as a service shows the shift towards the “On Demand” content delivery that was first seen in multimedia, Spotify, Netflix. In fact John Jendrezak, Partner Group Program Manager states that such programs were an inspiration to Office365. I expect more software companies to follow Microsoft’s lead in providing their software as a streaming service. The cloud is the future of data and application storage, Office on Demand, however, is a doomed venture. It’s a couple of years ahead of its time. You don’t want an application that has an unlimited access to your internet connection. It doesn’t matter where you live, the internet isn’t cheap – especially for word processing applications. Also if they do not provide offline package for the usual office applications, I foresee a vacuum for word processing on the PC which am sure developers will be looking to fill. What they should do is keep all the old office apps, and provide access to other features on the cloud like the cloud storage, for now, and bring back On Demand in another 2 yrs. If internet access was free, I’d be at the front of the line for Office2013. Looks like we are on the same page, I have always wondered how the SME would actively gain from Office on Demand considering the very unreliable internet connections we have. Personally I think the day we will have atleast 70% of the population having access to internet is when some of these solutions will be viable to take mainstream. Peter, Office 2013 will still be available as a standalone installation (like previous versions). For businesses in countries where reliable broadband access is available, Office On Demand presents a better value for the reasons I listed above. Access to internet isn’t free, but as a business, continuous access to it provides an advantage that is well worth the investment. Here’s a scenario: Let’s say I run an Environmental Assessment & Quantity Surveying firm and I have won a tender to perform a study in a remote location. Currently I would have to send a surveyor out to the field to complete, wait for him to collect the hard data, compile it into electronic format then email it back. Then I assess the data looking for any mistakes, which if found requires that he goes back to the field to repeat the data collection. After collecting the data we confer with the client who as it turns out, needs additional work done. So we send the surveyor back out to the field to repeat the process. How much time, man hours and credibility has my business lost by not taking advantage of the internet?If I used Office2013, I could create a data collection form for my surveyor. He access this form on his mobile phone imputing the data directly into the company database. As the information is LIVE, I can check for any errors right there and then, so if corrections and be made on the spot. I can also share this data with the client so if they have any changes it is also done when the surveyor is at the site. I can integrate GPS, map information directly into the report. The cost savings from such an improvement adds tremendous value to my company, many times over the cost of having unlimited internet access.Office2013 uses SmartSync when syncing your data to the cloud, Office2013 will only sync the revised portions of your document eg If you change just one slide in Powerpoint presentation, only that slide will be changed. However, be aware that consumption and usage patterns the internet are changing rapidly. We used to rip and save all our music and movies on our hard drives. But if I can have the ability to stream which ever song or movie I want, whenever I want, WHEREVER I am, that is the option that I will pick. Kenya is on her way there. It seems, as you say, we’ll still have our standalone Office. Since they’ll be providing Office in the two flavors, traditional Office in Office 2013 and Office as a Service in Office365 subscription, I think I’ll have to agree with you. I had assumed they’ll just be providing the Cloud based service, but having looked at the standalone Office 2013 UI, I can’t wait to try it out.